So a year ago (=D) we went to Granada for some winter sunshine. I know, I know, it’s been forever since I wrote. But, I have been super busy and we travelled so much, I couldn’t keep up! But I’ll be better, I promise! Anyhoo, we flew into Malaga because it was cheaper, then rented a car and drove to Granada. The drive is really great, the road takes you through the Sierra Nevada, which in January is still a bit snowy and it looks gorgeous! We arrived in Granada and checked into our hotel, with an awesome view of the mountains. 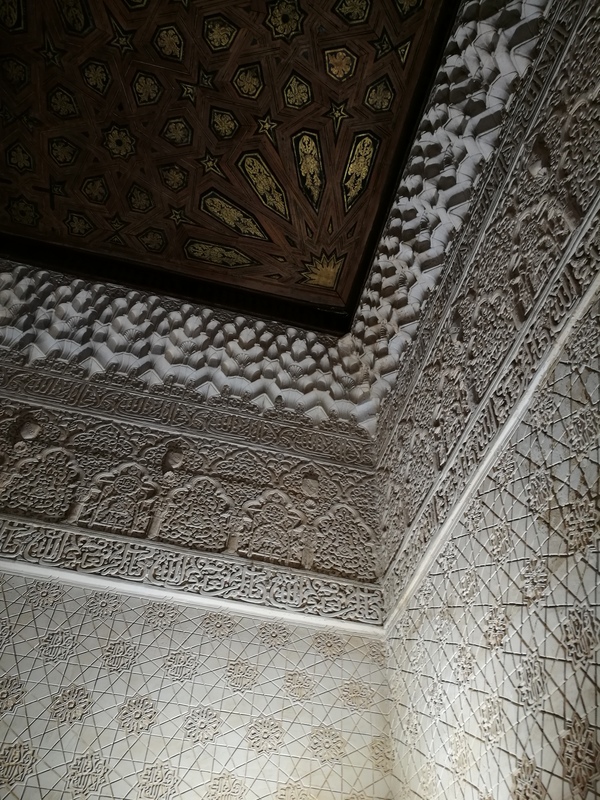 The main thing we wanted to do was visit the Alhambra. We didn’t think ahead and didn’t have any tickets which is wrong. We went up the hill and it’s one HELL of a hill, I mean it took us forvever and it’s painful on so many levels. Then we discovered they were sold out. We tried to find tickets in town, but no one seemed to have any. Even the hotel couldn’t find us anything, unless it was massively expensive with a guide. Then we heard someone mention a hidden ticket machine and decided to try again the next morning. 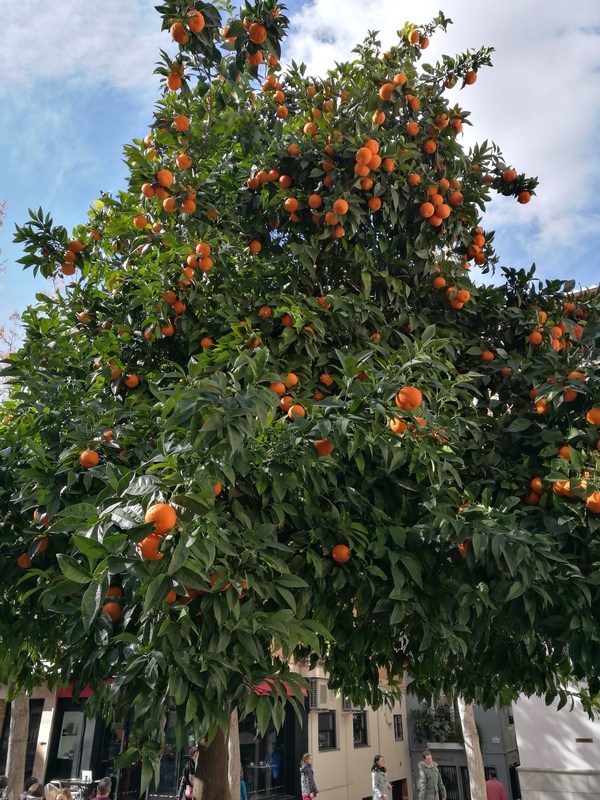 We walked around town and enjoyed the sunshine, all the gorgeous orange trees and the accompanying aroma, the hustle and bustle of the bars offering mouth-watering tapas… Of course when in Spain, you have to eat. We had some great hams and cheeses, tortilla and croquetas. 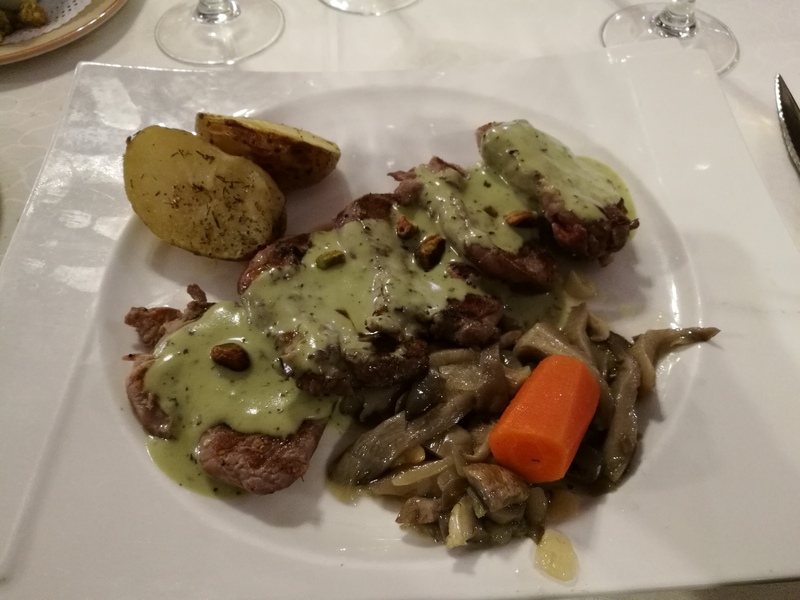 In the evening we had a slightly posher meal, and I had the best pork I ever had, with the most glorious sauce! Everyone was outside at night, the fountains were illuminated and people strolled licking an ice cream (so we did too). On Sunday we woke up at 7am and grabbed a taxi up to the Alhambra. I queued at the ticket booth and Dan went to search those hidden ticket machines. Dan managed to get us tickets and so we grabbed some breakfast from the little corner shop they have up there, standing in the cold with other tourists. When we finally went inside, it looked so eerie in the early morning mist, the sun barely peaking out from behind the buildings. 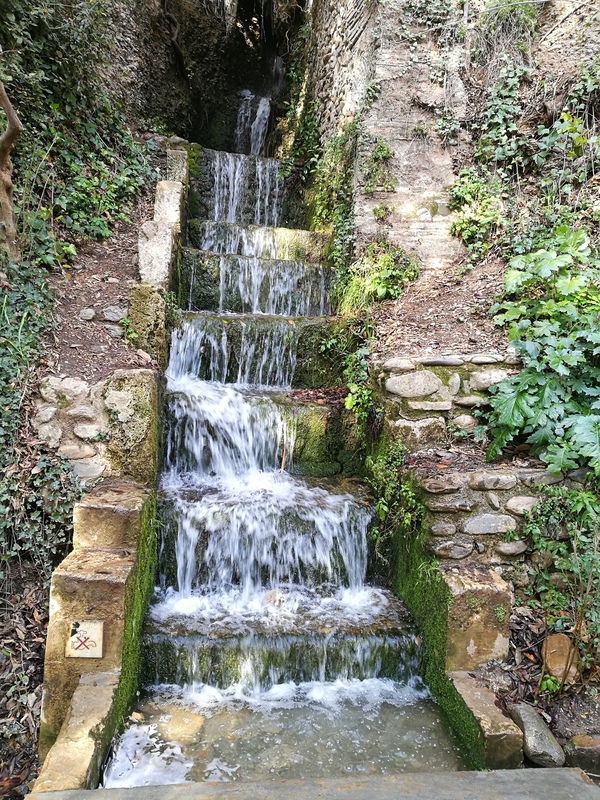 We walked throuhg the gardens first, taking in the beautiful alleys and fruit trees, exotic flowers and the outside theatre still in use today. It’s as soon as you reach a building and enter through an archway that the true glory of the architecture comes to light. 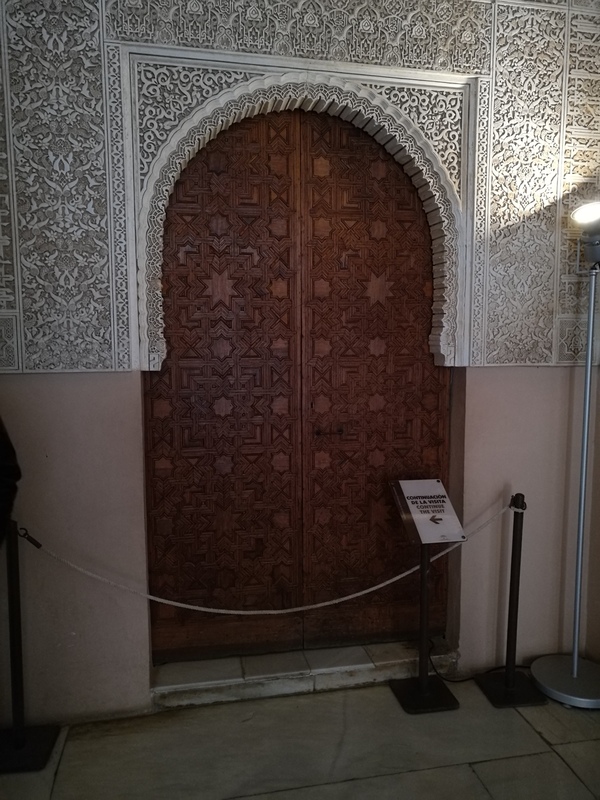 Every door is a gem, every doorway is so intricately carved that you wonder how long it took them. The inner gardens with fountains are gorgeous, and you sense that every room with a little stream is much cooler and in the summer would provide much needed relief from the scorching heat. 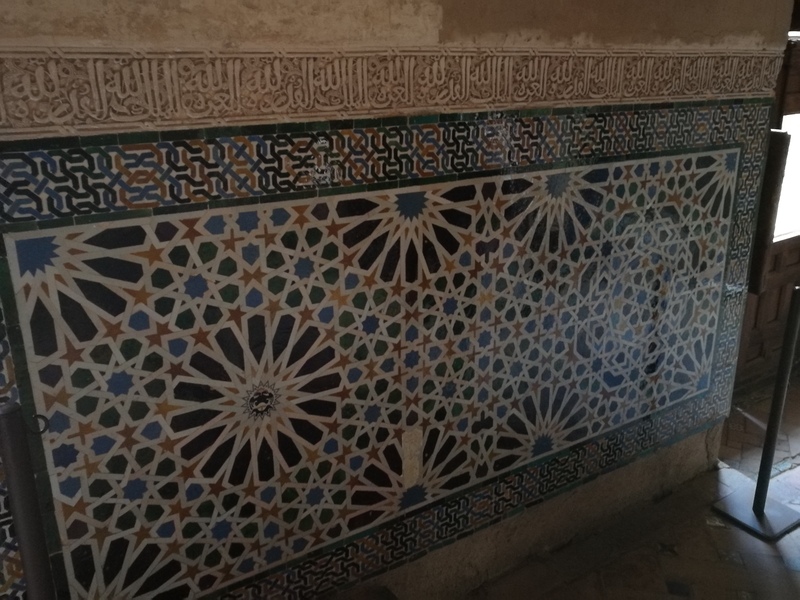 There’s tiles on the walls, floors and ceilings and you wish you could read what they say. Don’t hesitate to book yourself a mini-break to Granada! Tags: granada, mini-break, spain. Bookmark the permalink.